Infographics. Icons. Logos. Cut outs. Social Media Images. Adverts. Flyers. Website Graphics. Posters. Typography. Design Theory. Branding. Illustrator. Photoshop. InDesign. Design Beginners Kickstart is a streamlined version of our flagship Design Beginners Bootcamp program, which only enrols 3 times a year. Working through hands-on exercises you’ll quickly learn the essentials of InDesign, Illustrator and Photoshop, discovering insights into design theory and context at the same time. I’ve taken my 25 years of design experience, 20 years of teaching experience, stripped out everything that’s not relevant for marketers or beginners, and streamlined it to cover as much as possible in the shortest possible time. You’ll study 12 completely bespoke courses. So instead of taking, say, just an “Illustrator introduction” course you’ll study how to create icons and logos with Illustrator, Social Media graphics with Illustrator and infographics with Illustrator. So you won’t experience the frustration of learning some general Illustrator skills that you have to then figure out how to use. Instead you’ll get straight into creating what you need. And as each course already assumes you’ve picked up the knowledge from the preceding ones, you don’t waste time learning the same things twice, you get to experience how things connect and you get a huge sense of momentum as you’re learning at speed. This video gives you the background to why I created this unique course. To skip to the details of the course, go to 12 minutes in. Peter’s tutorials are fantastic. He speaks clearly and slowly so you have time to absorb what is being said, without felling rushed and he takes the time to explain things to you so it doesn’t feel that you are listening to a lot of gobbledygook. In the first course you'll learn the essentials of Illustrator (like applying colours, selecting inside of groups) so you'll progress through the rest of the course with ease. Then you'll learn key Illustrator skills as you create these icons & logos from scratch. If you want or need to design things like adverts, posters or social media assets but have no design skills, where do you begin? 10 Steps to better graphic design gives you the skills you need to get started. You’ll learn key design concepts like contrast, repetition, balance and rhythm. You’ll learn how to get started with type and colour. Add this to some knowledge of InDesign, Illustrator or Photoshop and you’ll be on course to create things that you’ll know will look good, rather than simply guessing and hoping. So take the first step, and start to improve your graphic design skills. Maybe the person in your office that knows InDesign has left, and now it’s over to you. Or maybe you’ve asked your design agency for your InDesign files to work on, and now you’ve got them but have no idea what to do with them. Sound familiar? What do you do now? The chances are you’ve inherited some InDesign packages or templates, but what use are they if you can’t use them. This course will teach you what you need to know. Quickly you’ll learn why packages and templates are important, and then how to use them. Following along with the exercise files you’ll learn how to create a variety of things from the provided InDesign templates. Soon you’ll no longer be an InDesign beginner, but have the confidence to edit existing documents and build new ones from templates. You’ve got a photograph to work with, but it doesn’t look as good as you’d like it to. What can you do to improve it? Improving Images with Photoshop teaches you to do exactly that: make images look better using tried and tested Photoshop techniques. By the end of the course you’ll be able to take your images and straighten them, crop them, make them brighter, improve their contrast, fix any colour problems and sharpen them. Combine those techniques and many of your images will look much better, whether you’ll use them in print, on a website or on social media. In this course you'll build on your existing Illustrator skills and learn to create more complex graphics that will bring your website to life. Then you'll learn how to create perfectly sized images and adverts for Facebook, Instagram, Pinterest and Twitter. Take your type knowledge to the next level as you learn about type classifications, history, how to make type more readable and how to combine different typefaces. Now that you've got the InDesign basics it's time to learn how to create documents from scratch. 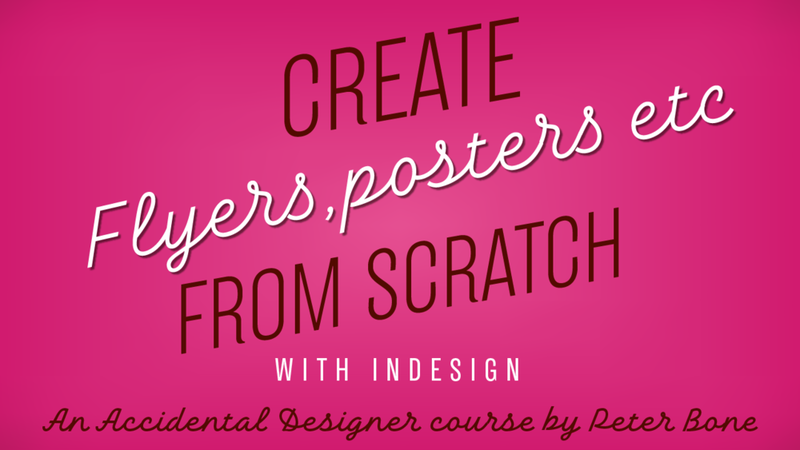 On this course you'll learn how to create flyers, posters, postcards, adverts and more from scratch using InDesign. 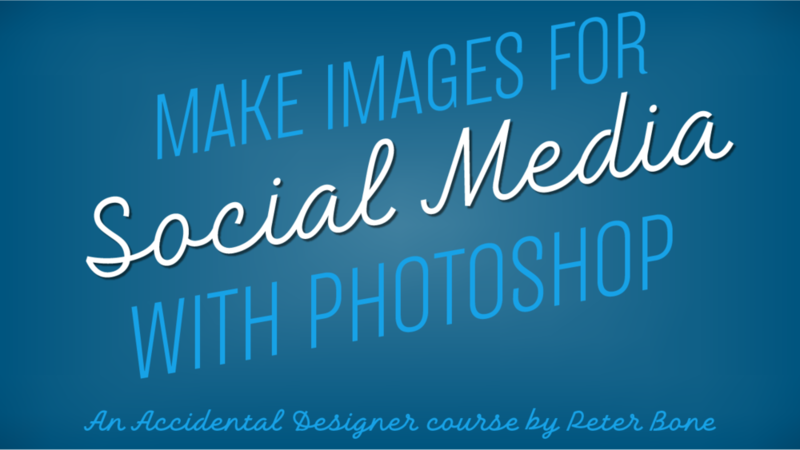 Building on your existing knowledge of Photoshop you'll learn how to use it to create beautiful images for social media, quickly and easily. If you want to add interest to a report, presentation or social media post, an infographic can be a great way to do it. Illustrator is the program that the professionals use to create them. On this course you’ll learn the foundational skills you need to create basic infographics. You’ll take some simple data and learn to turn it into a variety of charts and graphs. From there you’ll learn how to adapt charts into great looking infographics. You’ll also learn how to use regular shapes like circles, triangles and hexagons as the basis for more complex infographics. So get ready to liven up your work as you learn how to create basic infographics with Illustrator. 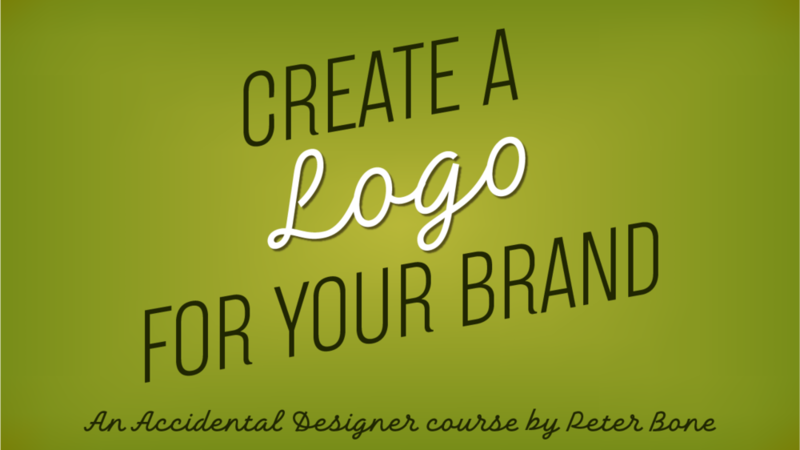 Using your knowledge of Illustrator and growing graphic design skills, learn how to create a logo for your brand. It can be really daunting the first time you have to send your InDesign document to be printed by a commercial printer. There’s money involved, and if mistakes are made it can soon get ugly. And expensive. It’s also daunting because there’s so much technical terminology: bleeds, trims, spot colours, resolution. How can you learn this stuff? How can you learn what things to check before you send your work off to the printers? This course will teach you the jargon that printers use, what it means, what can go wrong and how to fix it so it doesn’t happen. 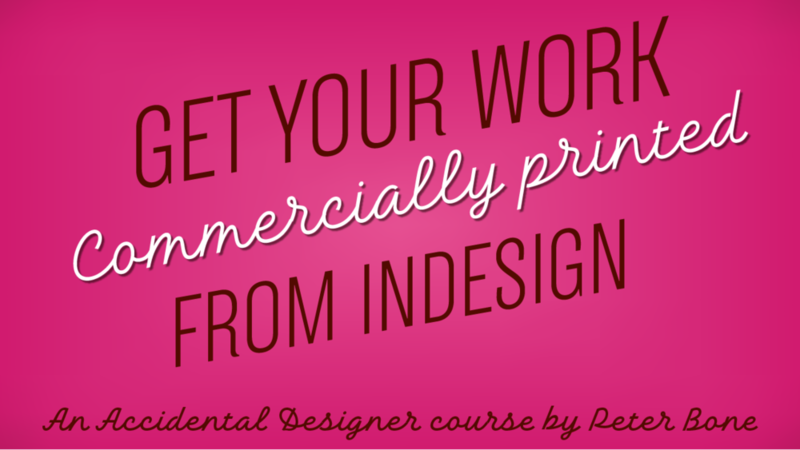 It’s perfect for anyone with basic InDesign skills who’s inherited design responsibilities. One of the tricky design challenges is to cut someone out from a background. Building on your existing Photoshop skills you'll learn how to do this with confidence. In the 21st century, pretty much everyone is a designer. Whether you want to be or not. If you work in marketing or comms you’ll be expected to just be able to design things. Or if you’re a solopreneur or have your own side business, you’ll want to create things that look as good as your competitors. But as much as you might have good taste, and as good as you are with computers, or ideas, none of those things add up to having design skills. So how do you learn them? And while you’re at it, how do you learn InDesign, Illustrator, Photoshop – the programs design professionals use? Design Beginners Kickstart will teach you those foundational skills, and supercharge your creative confidence. DO I NEED TO PAY FOR ANY SOFTWARE TO PARTICIPATE? You will need access to Adobe software such as Illustrator, InDesign and Photoshop to participate fully in the course. They cost $19/month for a single app, or $49/month for all the Adobe apps. You can access 7 day trial versions here if you don’t have access already. Peter Bone, is in a unique position of being someone with not only many years experience as a graphic designer and creative entrepreneur, but also as a teacher who teaches beginners like yourself every week. That means he's in a good position to both know what you need to know, and also to be able to teach it to you. This bootcamp is for creative entrepreneurs, solopreneurs, those in marketing, comms or social media. Anyone who relies on design skills but was never taught them. If you want professional results, want to learn professional software, and are prepared to study, you'll get a lot from this bootcamp. It's not aimed at experienced designers, those that want to primarily learn UX or web design (even though all of those people would still learn a lot). It wouldn't be suitable for you if you prefer to learn passively rather than putting into practice what you're learning. If you're not completely satisfied you can request a refund, no questions asked, within 30 days. The price of the course is $497. You can get it for only 3 payments of $99 (that’s $200 off).